The series Elise-Elise (part 1) plays on shared or isolated moments, performed by Elise and myself. By the resonance of emotions and an impossible proximity, the images testify the fabrication of idyllic dreams. They are an attempt to confuse fantasy and reality. My relationship with Elise is represented by a construction based on subjective and sentimental experiences, lived by my perception. 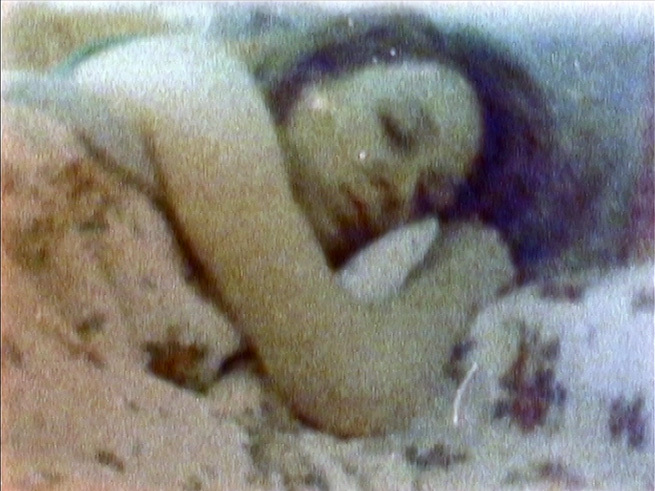 In an accumulation of records and transfers on film and tape, our bodies fuse with the materiality of the medium.